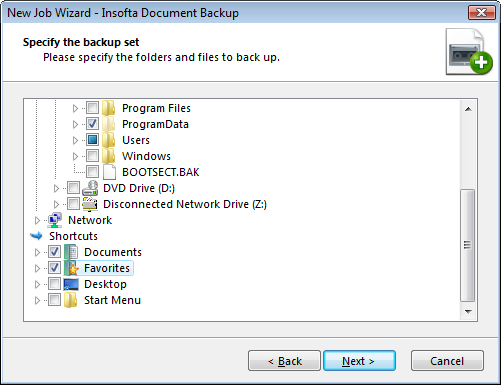 Creating a new backup item is the first step to backing up your data. 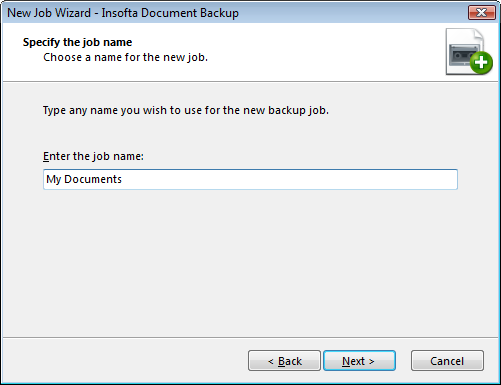 After a backup item is created, all you have to do to backup your data is double-click on the item’s icon. 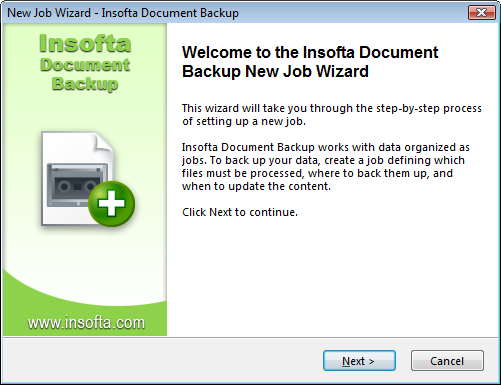 You can even have the program do the backup for you automatically. 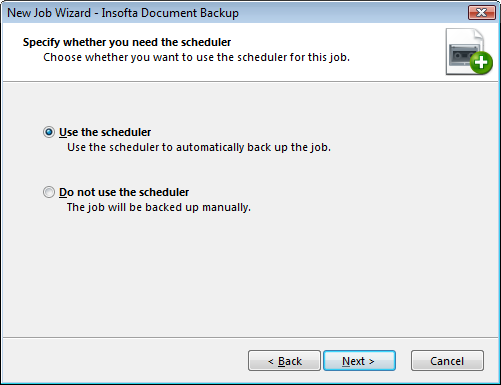 Read on to learn how to use a scheduler and have your data backed up automatically. Select the New Item on the File menu. This will open the new item creation wizard, which will guide you through the process of setting up a new item. Click Next to continue. 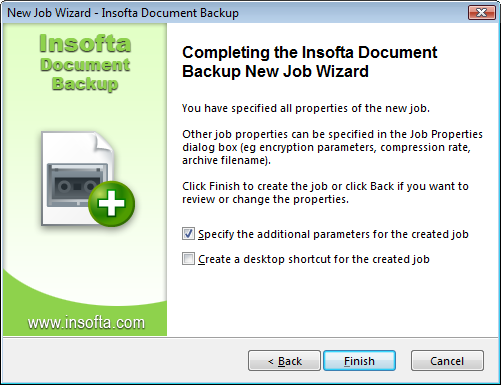 You can also use the corresponding items on the program’s toolbar or taskbar to create a new backup item. Choose a name for the new item: click on the Item name edit box, type in the desired name, and then click Next to proceed to the next step. Select the folders and files to be backed up in the new window that appears: tick off the checkbox by the folder or file to be selected. Click Next to continue. You can select any number of files or folders to be backed up. If you are not seeing a file or folder you need, try expanding folders by clicking on the plus [+] sign by their name. Clicking on the plus [+] sign once more will collapse the selected hive back. 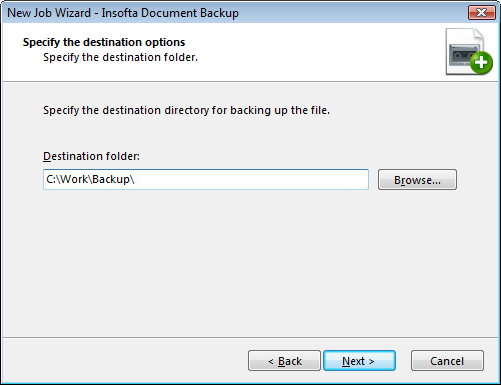 Backup to Local / LAN - will place your backup files to a local or network hard disk. Backup to FTP server - will upload your backup files to the specified FTP server. 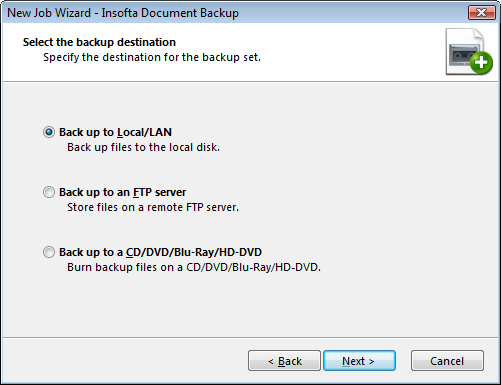 Backup to CD, DVD, Blu-ray, HD-DVD - will burn the backup data on a CD, DVD, Blu-ray, HD-DVD. Choose whether you would like to use a scheduler for this item. Click here for more information on the scheduling options. 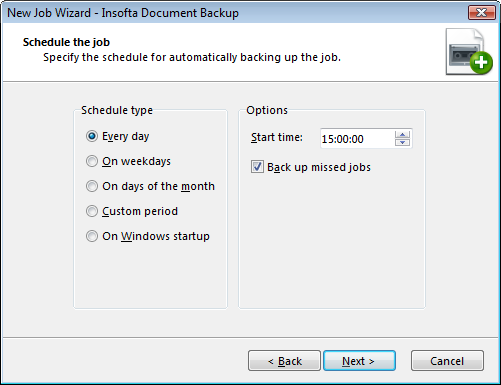 Set the final options for the new backup item: Specify additional parameters for the created item - will open the Item Properties window where you will be able to specify additional settings for the new backup item; Create a desktop shortcut for the created item – will create a shortcut to the new backup item on your computer’s Desktop. This will allow you to backup the item by simply double-clicking on the icon on Desktop.